This view shows the house on the corner of Castle Road and Northampton Road. The identity of the family is not wholly certain. However, Billy Rainbow was a Baker who used to live at No. 6 Castle Road where there was a Bakery. He can be seen in the bottom right of this picture outside No. 2 holding his bread basket ready for doing his deliveries. The bake house, the last in the village, was bought out by William Wallinger of Harrold in 1938 and it closed in 1949 when it became a dairy business run by Frederick Henry Betts and later by Monica Betts. 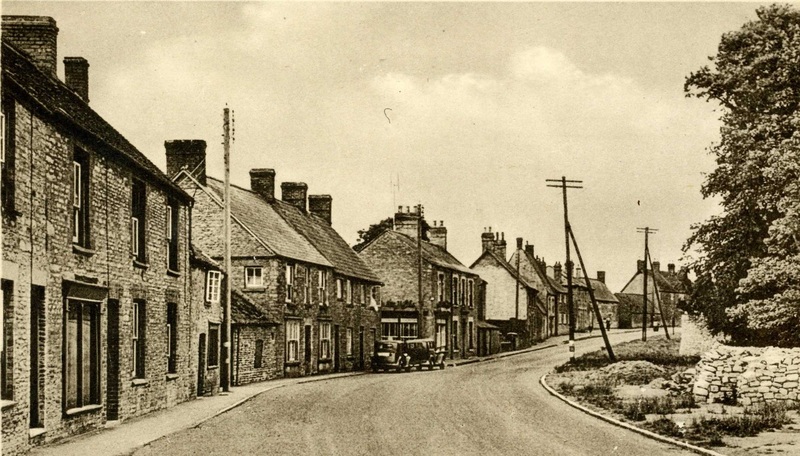 Northampton Road, Lavendon, circa 1947. Northampton Road is seen here partly prepared for road widening which took place circa 1948. The walling and hedging (visible in the next view) have been cleared on the right, but the present-day lay-by on the left is still part of the main road. The telegraph poles have yet to be removed. Edgar Lay’s butcher’s shop is visible behind the parked cars. 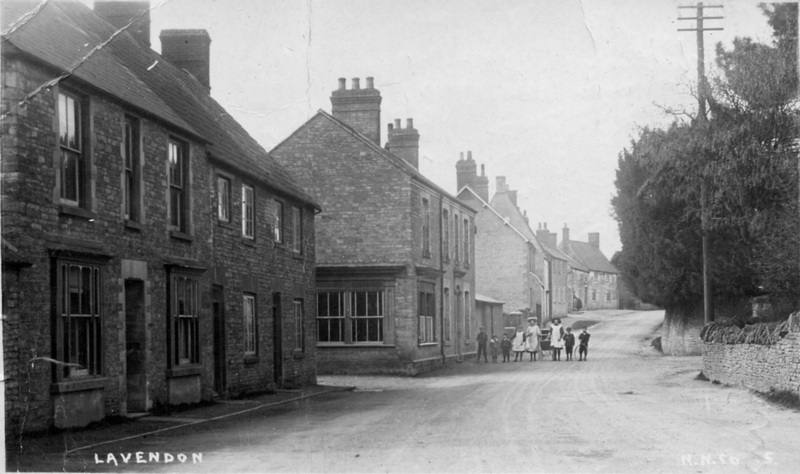 Northampton Road, Lavendon, on a quiet day with the former butcher’s shop on the left. 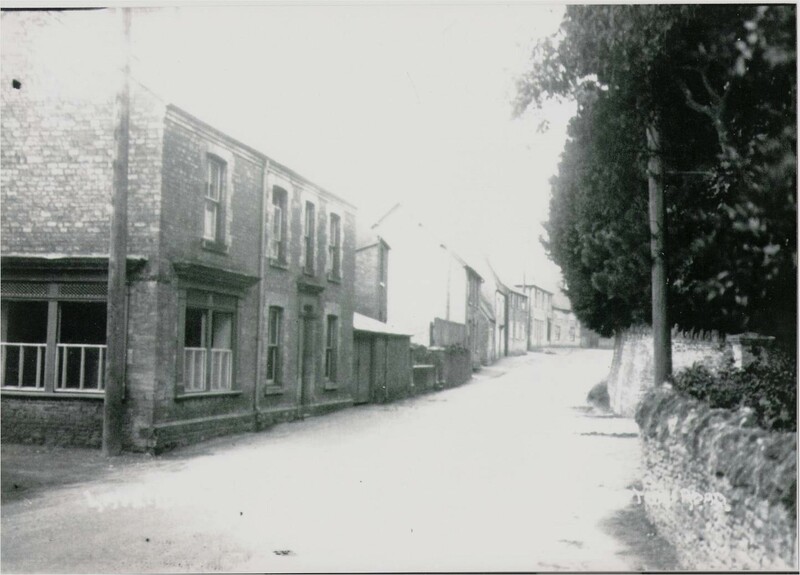 This scene shows the narrow state of Northampton Road as it existed, well before circa 1948 when road widening took place. 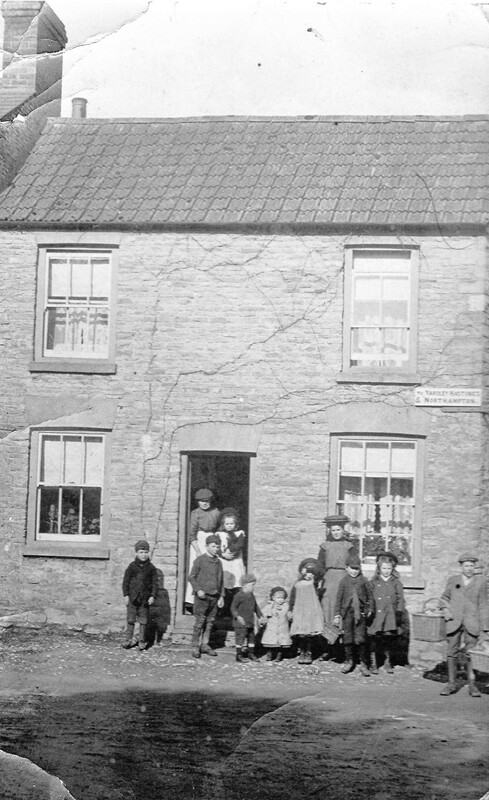 On the immediate left is the former butcher’s shop that belonged to Thomas William Fielden at the time of the 1901 census, when he was then age 32. He had the shop at least until 1931 according to Kelly’s Trade Directory. Thomas, or Tommy as he was more popularly known, was an apprenticed butcher who came to Lavendon from Redcar in Yorkshire. By 1935 Edgar Lay had taken over the shop which he kept until the 1970s. This photo might well have been taken at the time of changeover in the mid-1930s given the somewhat desolate look about the shop. Northampton Road, Lavendon, with the former butcher’s shop to the left of the pedestrians. Painting and decorating in Northampton Road before the road was widened. This early view of Northampton Road again shows just how narrow the road was prior to the 1948 road widening. 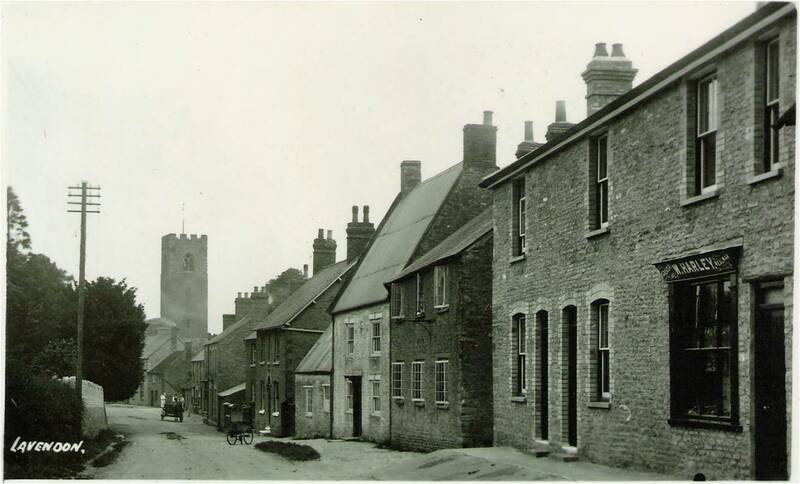 The house on the left undergoing re-decoration belonged to Mr Fred Ingram who was a bootmaker and salesman. His workshop was the next single-storey building beyond the ladders. Above that is the ‘1690 House’ in which Fred Ingram’s mother lived. 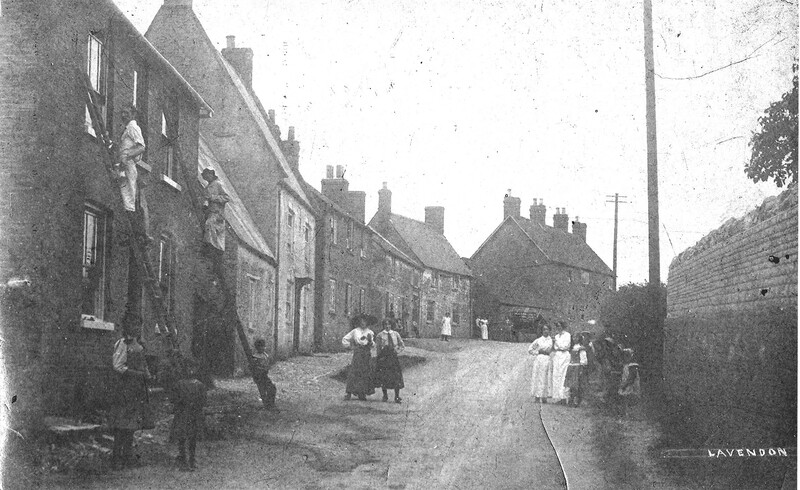 Northampton Road, Lavendon, before road widening. A few doors up from Fred Ingram’s house (see previous view) was Harley’s Shop visible in the far right of this view. The Harley family were listed as shopkeepers and farmers in the trade directories between 1887 and 1939, and they continued in business after WW2 as well. The Harley Family of Northampton Road. 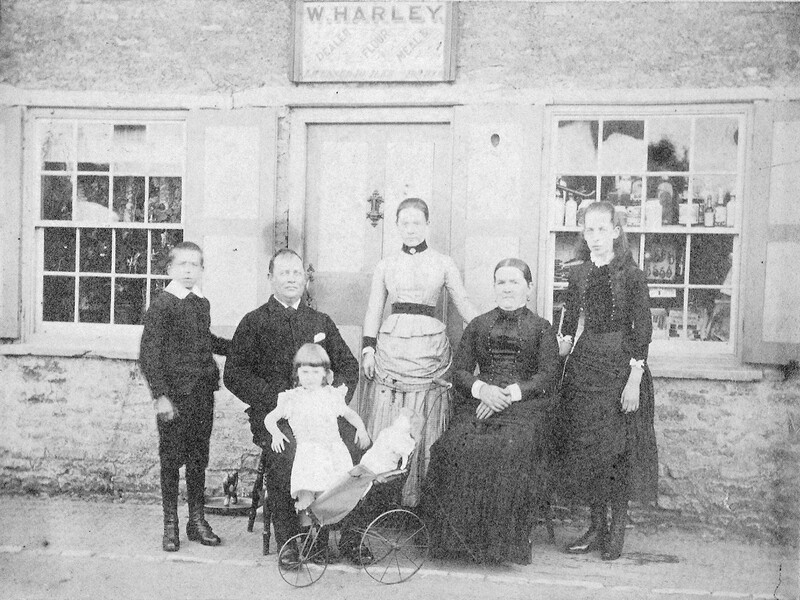 Above: The Harley Family of Northampton Road pictured outside of their general store circa 1891. From left to right: William James (13), William Brice (43), Ethel May (5), Rachel (21), Elizabeth (41), Louisa (15). A year or two later, Rachel married Thomas Fielden who owned the butcher’s shop down the road, as noted above. Their son Hector died in the third battle of Ypres in August 1917. The Harley family owned and ran a thriving ‘jack of all trades’ business in Lavendon. William Harley had this shop near the top of Northampton Road and the family also farmed at Rectory Farm where they kept horses, said to be well looked-after, which were used for ploughing. The horses were also hired out to assist with haulage and were used for example to erect electricity poles for the electricity company when power came to the village. As well as their general store, the Harley family made and sold butter and meat, and they kept pigs in sties behind the house. They were very enterprising: for example, when a couple were getting married they could go and choose their furniture etc from shops in Northampton or Bedford and the Harleys would collect and pay for the items, in turn allowing the couple to pay them back on a weekly basis. 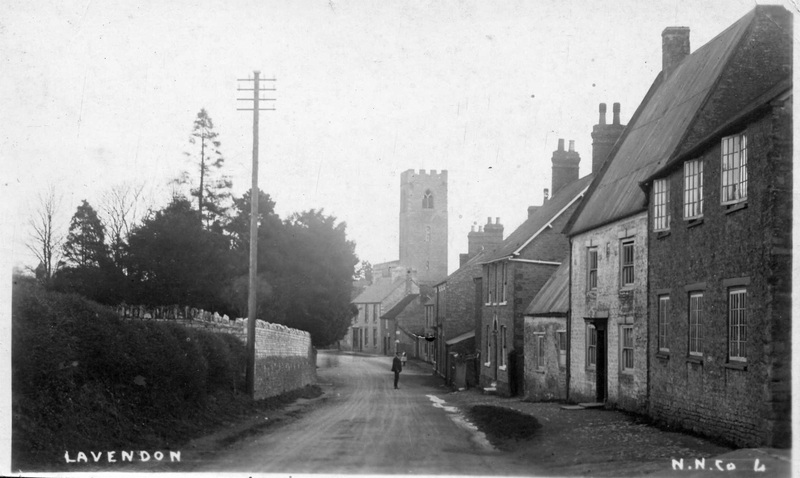 The Harleys were also landlords within the village and left money in trust to the village church, still providing a modest annual income.